Lets talk about work, my work precisely. I haven’t write anything about my corporate strategy gig at this blog so lets start one with a bang. 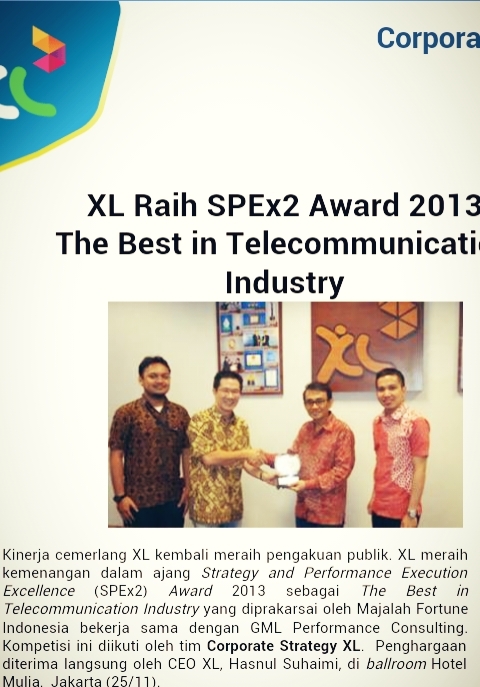 My team, the corporate strategy of XL Axiata, won two awards in this month both for respective corporate competition. It was part of the job anyway since the CEO forwarded anything into our plate including this competition, but hey a win is a win right. A humble-bragging once in a while never hurts anyone, so lets start. First one is SPEx2 Award which stands for strategy to performance execution award. It was held by GML Consulting and Fortune Magazine. This one is actually quite simple since all we need to do was filling up templates with specific questions and then presented it later when we gone through the next phase. We won the best in telco category, not bad for the first try. This one ive been showing it off in social media for the past week. My team submitted a paper for SWA Magazine Best Corporate Transformation Award 2013. It was our first attempt as a company and we won third place. Best part of it, CorpStrat team was featured in November edition of SWA. 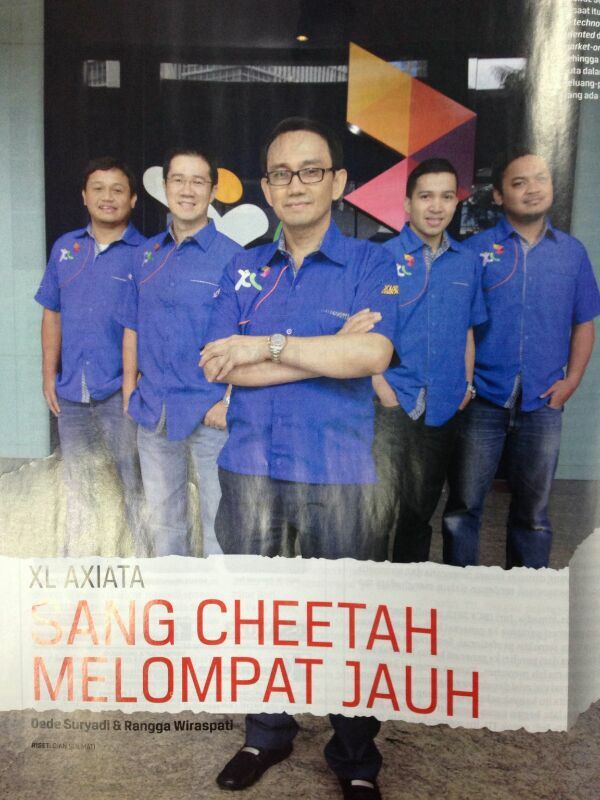 Proud to be part of the legendary XL corporate strategy team. It was surely the highlight of my career and it wont be the last on ofcourse. More interesting stuff awaits, stay tune folks!